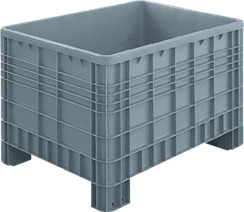 Nordcontenitori is capable of providing its customers with plastic pallets and containers for every purpose and industrial sector. Thanks to its vast catalogue and over thirty years of experience, Nordcontenitori is one of the few companies on the market that's capable of providing custom solutions for every industry. 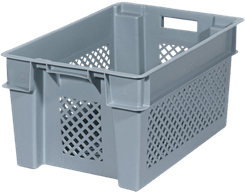 From pharmaceutical companies to companies operating in the textile, metalworking, construction and food industries, Nordcontenitori plastic pallets and containers represent highly-resistant tools for every sector, capable of preserving all types of food and non-food products. 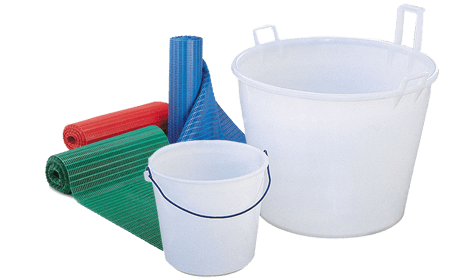 The polypropylene and polyethylene plastic used for their production renders them non-deformable and highly resistant to chemical agents, weathering, temperature variations and the deteriorating effects of time. 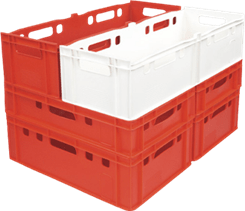 These hygienic and certified plastic containers and pallets are even suitable for contact with food products. Ideal for storage and transport, each solution provides for significant savings in terms of both time and money. Many of the containers, in fact, are modular, stackable and nestable, thus providing for significant space savings in both the warehouse and the containers themselves, as well as expedited product handling operations along the entire production chain. Furthermore, Nordcontenitori's plastic containers can be fitted with wheels, handles, airtight covers, perforated or smooth bottoms and non-slip inserts, and can even be customized with colours and company logos for easy identification. Find out more about all the fields in which our pallets and containers can be utilized! 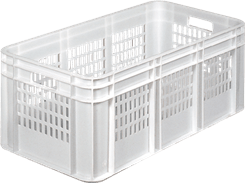 Nordcontenitori manufactures plastic pallets and containers for food items, isothermal containers for ready-made meals, dishwasher baskets and plastic tubs for cutlery. 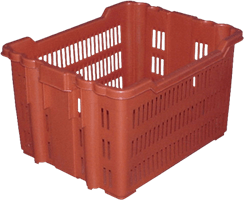 Nordcontenitori manufactures all sorts of plastic trays, pallets and custom industrial containers for every specific requirement in terms of the storage, handling and preservation of dairy products. Nordcontenitori manufactures plastic industrial pallets and containers, isothermal containers, as well as trays and pallets for the processing, handling and storage of meat products. Nordcontenitori manufactures plastic industrial pallets and containers for medical, pharmaceutical, chemical and cosmetic use. Nordcontenitori manufactures plastic industrial pallets and containers for the handling and storage of fishing industry products. 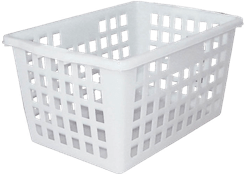 Nordcontenitori manufactures plastic industrial pallets and containers for the handling, storage and disposal of textile industry products. Nordcontenitori manufactures custom plastic pallets and containers that are ideal for storing and transporting sports equipment, musical instruments, gardening tools, and more. Nordcontenitori manufactures custom plastic pallets and containers for fruit and vegetable farms and nurseries. Nordcontenitori manufactures custom plastic pallets and containers for logistics, transport and security companies. Nordcontenitori manufactures plastic pallets and containers for supermarkets, resellers and large-scale retailers. 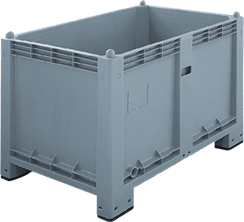 Nordcontenitori manufactures plastic industrial pallets and containers for companies operating in the plastic and rubber processing and moulding industries. Nordcontenitori manufactures industrial pallets and containers for fresh, cooked and room temperature food items, such as meats, fish, fruits, vegetables, dairy products and confectionery products. 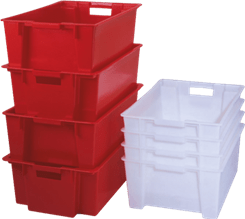 Nordcontenitori manufactures plastic pallets and containers for the preservation, storage and transportation of merchandise, documents and instrumentation. 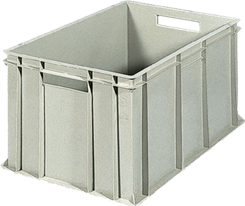 Nordcontenitori manufactures plastic pallets and containers for the metalworking industry: for the handling, preservation and storage of metal objects. 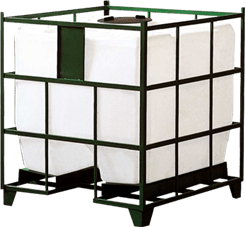 Nordcontenitori manufactures plastic industrial pallets and containers for the paper and cellulose industry. Nordcontenitori manufactures plastic industrial pallets and containers for carpentry, turning, furniture and cork workshops. 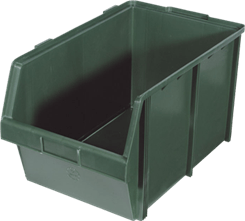 Plastic industrial containers for the construction industry, crates for debris, containment tanks, plastic debris chutes, waste disposal containers. 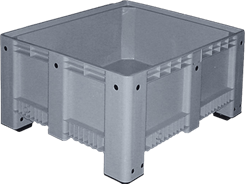 Raking mouth plastic containers, rigid plastic containers, stackable and customizable plastic trays for electrical and electronic equipment. 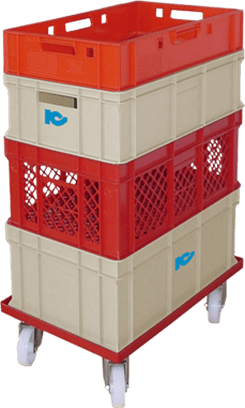 Nordcontenitori manufactures custom plastic industrial pallets and containers for the transportation and storage of large and small home appliances. 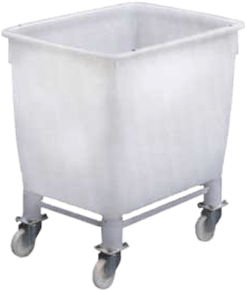 Nordcontenitori manufactures industrial containers for the baking industry: tubs, baskets and plastic containers for bakeries and pastry shops. 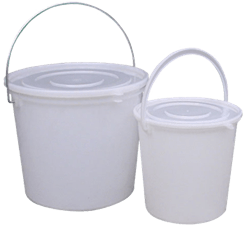 Nordcontenitori manufactures plastic containers for the chemical industry, for the preservation, storage and transport of chemical products and substances.